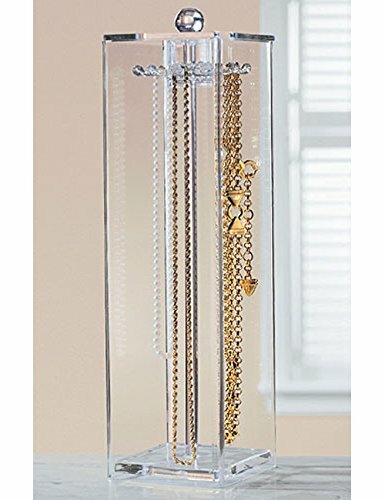 A classy and beautiful jewelry display rack, this chic and stylish item is a most efficient and attractive manner of organizing and also exhibiting your entire collection of earrings at the same time! 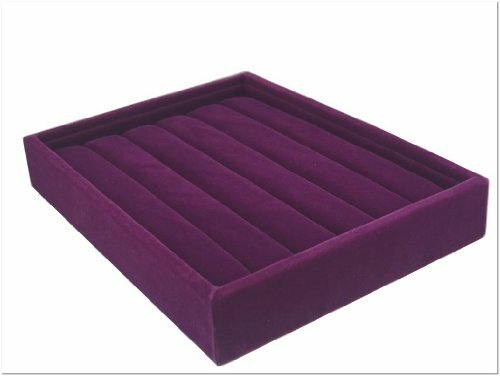 It features a compact yet attractive design and it is completely covered in soft and smooth velvet fabric in order to protect your belongings as well. 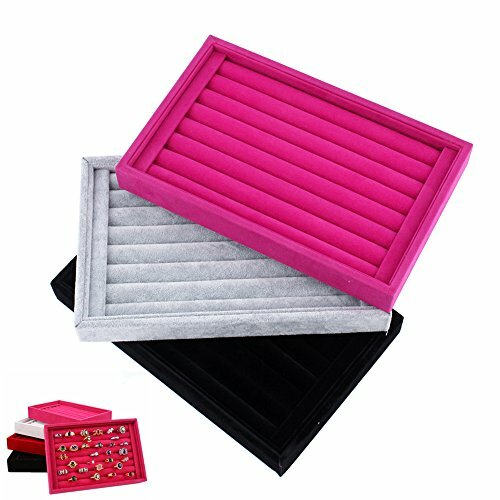 The product comes in multiple colors where you can choose from! You can either get the elegant black version, the chic gray version, the lovely creamy beige linen version or the beautiful bright pink version as well! 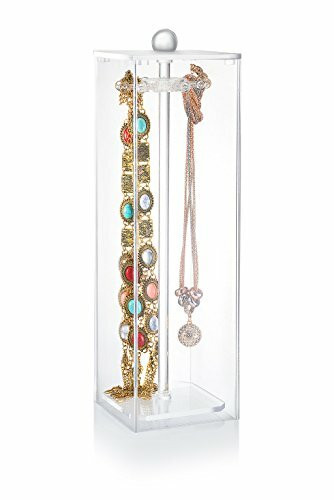 This item offers an efficient, stable and professional display of your beloved jewelry collection and you will definitely be very satisfied with it! 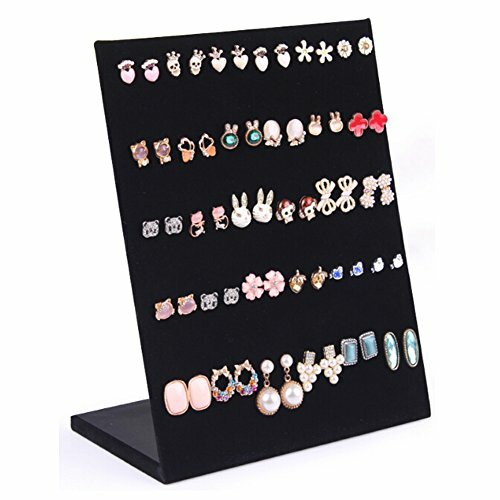 It is able to store up to 60 pairs of earrings without a problem and keep them well and smartly organized as well. Thanks to its design, it can be placed anywhere in your store or home, on the vanity, desk, dressing table and so on and so forth! 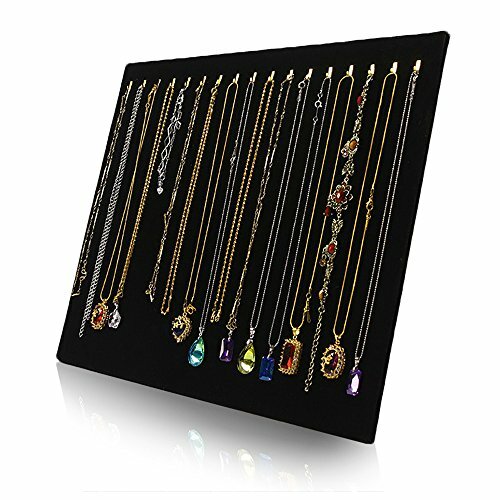 It is both suitable for being used at home or in jewelry retail shops. 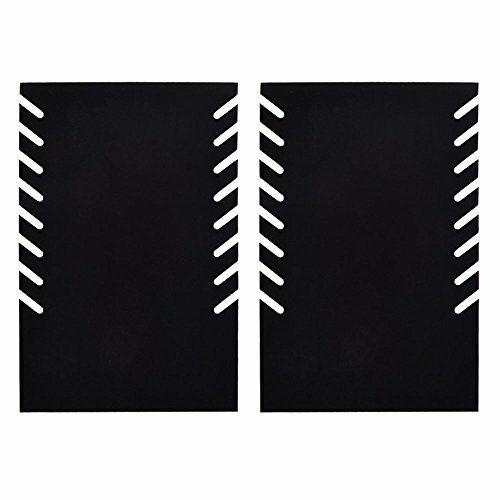 It will not occupy any space so it is also very useful for smaller rooms and stores too! You can acquire this lovely and stylish product for your own use or you can just as well offer it as a gift to any jewelry enthusiasts too! The measurements of this wonderful item are the following: 20 x 25 x 10 cm / 7.87 x 9.84 x 4.13 inch.